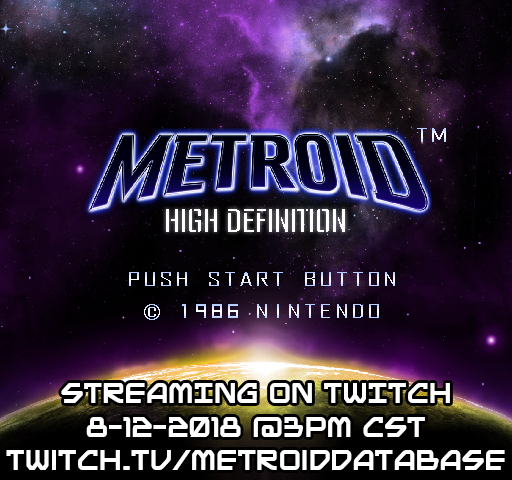 We will be streaming a short playthrough of a new hack that was released – called Metroid HD. The game is essentially Metroid 1, but with Super-like graphics. This is done through an emulator called Mesen which basically allows you to “skin” old NES games and update the graphics. Check out our stream on Twitch at 3pm CST today! 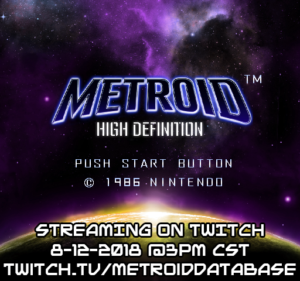 I actually had an indirect hand in this hack’s creation – it involves using the hack called Metroid mOTHER as a base and then improves the game’s graphics considerably. I’ll be talking more about it during the stream. See you there!